Fully Integrated Solutions For Meeting Room Booking. Watch Video Online. Integrated Biometric System. Request a Demo. Vendor Management, Visitor Management. Delight Your Visitors. Schedule Free Demo today. High configurability. Secure Data Management. Print Visitor Badges. 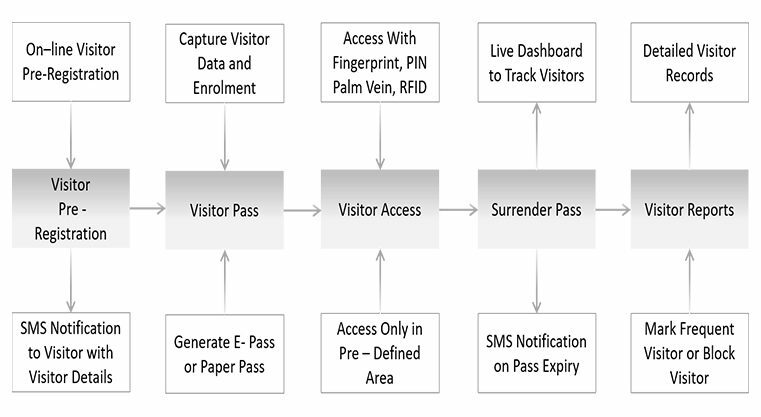 Visitor Management System refers to tracking the usage of a public building or site. By gathering increasing amounts of information, a Visitor management system can record the usage of the facilities by specific visitors and provide documentation. Because a visitor management system provides a record of building use, these systems are frequently used to complement building security systems and access control systems. As electronic visitor management systems become more common and more powerful, these systems are taking over many of the functions of building security. 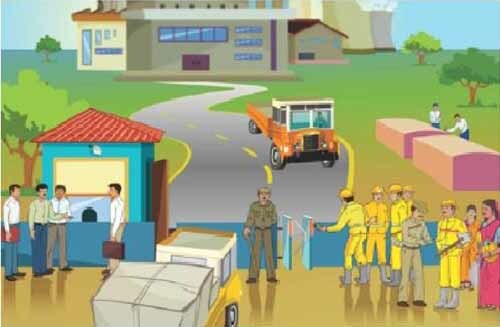 Visitors include customers, suppliers, colleagues, maintenance staff, competitors, government officers, guests, and sometime completely unknown person. To buy Visitor Management System for your esteemed organization or for reselling to your customers do contact us by filling the following form. One of our experts will contact you and help you in choosing what’s best for you.